I do my best to live each day in a state of gratitude for my Aliyah – for the best of friends, a fantastic job, a lovely home, and a high quality of life. Needless to say, of course there were times of severe lows, and to be exact, I’ve endured two major crises. The most recent one was this past December, which involved a roommate who orchestrated a major operation in getting me kicked out of our apartment. To my astonishment, she succeeded, and I found myself gasping for a new place two weeks before my trip back home to San Francisco. I rolled around in self-pity for 2 whole days, but then metamorphosed into an obscene hutzpanit, effectively snatching my current beloved apartment in a matter of 72 hours! And then there was the crises. 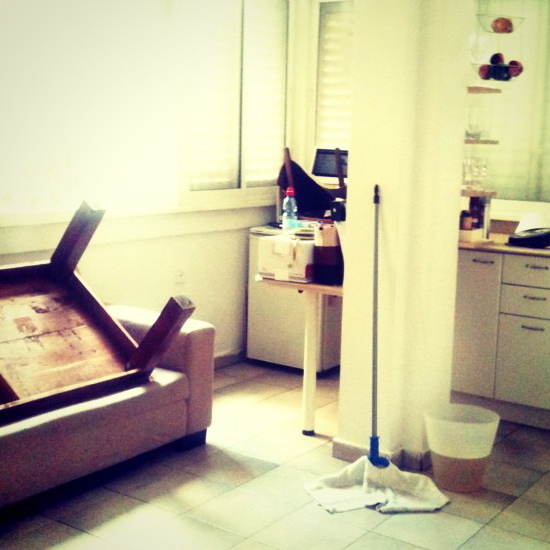 When I had arrived to Israel in 2009, I was reunited with my almost 3-year Tel Avivian boyfriend who, like airplane food, provided a ready-made apartment, his friends, and weekend trips that were all neatly packaged into my plastic box. He also provided padding for the thorny transition, but when the padded walls began to resemble that of a psycho ward, it was time to walk away. And I did – six months later – with an entirely spent savings, no job, and no longer the (amazing!!) apartment. It was an extreme situation, overwhelmed with fear, logistics, and hope. These are the exact emotions of Aliyah, but this time, I would ascend completely alone, and entirely on my terms. My new life was strictly between me and Israel, head to head, locking in my curly horns with Hers, and ramming through a successful fresh start. My aunt and cousins took me into their home – a place of immense positivity and rebuilding. Never mind that when I’m referring to my “aunt” I actually mean the ex-wife of my grandfather’s cousin’s son…it’s the closest and only family I have here! My aunt Lyana, who’s a life and health coach by profession, became my guru whose first instruction to me was to write a letter to the universe, to call on a little help. I started with the two desperate letters: one for a job and the other for a home. Despite the fragile circumstances, I wrote down fierce stipulations, from salary and office decor, to the color of my linens and the desired view from my living room window. Be assured that today I’ve received everything I’d asked for. I have also written many more letters since then. In fact, I’ve expanded my writing to a visual wishing wall, cutting out images like H.Stern rings, iPads, and flat abs. 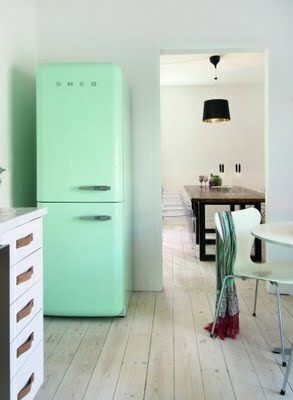 I’ll share with you one of my favorite items on the wall: a SMEG mint green refrigerator, which will fit beautifully in my shabby chic kitchen of a Neve Tzedek villa on the corner of Rehov Cohen. I will reside there with my letters, pictures, and of course, immense gratitude. P.S. Any plans to visit glorious Londonistan? I actually go to London twice a year for work. I hope to be back this winter. Once details are settled, you’ll be the first to know. I would loooove to see you! !